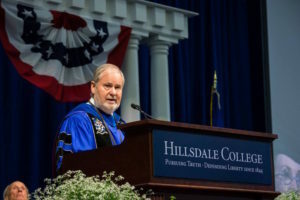 As Pres­ident-elect Donald Trump started filling his cabinet last week, spec­u­lation has grown around Hillsdale’s own Pres­ident Larry Arnn as a potential pick for the sec­retary of edu­cation. In an email exchange with The Col­legian, Arnn con­firmed that his name has been one of many sug­gested to fill Trump’s admin­is­tration with qual­ified indi­viduals, but he declined to give any specifics. Arnn said in a follow-up email that he is unsure of the specifics regarding if he was on an official shortlist but promised that he will keep the college’s best interests at the fore­front of the decision. A variety of sources have also con­firmed on back­ground that Arnn’s name was floated as a potential pick for sec­retary of edu­cation. A con­gres­sional staffer con­firmed to The Col­legian that in a con­ver­sation, top Trump adviser Sen. Jeff Ses­sions, R-Alabama, expressed that Ses­sions was sym­pa­thetic to the idea of Arnn as a potential sec­retary of edu­cation. A Michigan-based Trump cam­paign vol­unteer said Arnn’s name has been con­sidered and is on a shortlist of can­di­dates. On Wednesday, numerous tweets increased spec­u­lation that he is a finalist. “Just told LARRY ARNN of Hillsdale is finalist for Sec­retary of Edu­cation,” tweeted Phil Kerpen, pres­ident of American Com­mitment, a con­ser­v­ative-based 501(c)(4). In addition, con­ser­v­ative political com­men­tator and radio per­son­ality Rush Lim­baugh dis­cussed it on his show on Wednesday, stating that he was thrilled at the prospect of Arnn taking on a role in Trump’s Cabinet. Arnn would be an inter­esting choice for sec­retary of edu­cation, given Arnn’s fre­quent lec­tures against the bureau­cratic state and reg­u­latory agencies. Last year, when Hillsdale was excluded from the Edu­cation Department’s College Scorecard website and labeled as a “cer­tificate degree-granting insti­tution,” Arnn expressed his dis­sat­is­faction with its analysis. The Edu­cation Department has since labeled the misiden­ti­fi­cation of Hillsdale as a cer­tificate degree-granting insti­tution an error. According to Politico, other names in con­sid­er­ation for sec­retary of edu­cation include Rep. Luke Messer, R-Indiana; William Evers, a research fellow at the Hoover Insti­tution; and the former chan­cellor of Wash­ington, D.C.’s public schools, Michelle Rhee. This is the second time during the course of this election season that Arnn’s name was dropped for a Capitol Hill position. Fol­lowing the res­ig­nation of former Speaker of the House John Boehner, R-Ohio, in October 2015, Steve Hayes, Weekly Standard senior writer, said in a Fox News segment that Arnn would be a quality choice for the position. Arnn said he wasn’t seri­ously con­sid­ering leaving Hillsdale for Capitol Hill at that time, and Rep. Paul Ryan, R-Wis­consin, was chosen. Numerous Hillsdale stu­dents said they would be ecstatic, if Arnn were to take a position in Trump’s admin­is­tration. Some members of Hillsdale’s pol­itics department, however, said it’s way too early to spec­ulate on political appoint­ments. But pol­itics department chairman Mickey Craig said it would be a blessing to have someone with Arnn’s expe­rience in the Cabinet. This would be such a great loss for Hillsdale, but an incredible win for the USA and edu­cation! It would right the ship that is cur­rently sinking! Oh good! 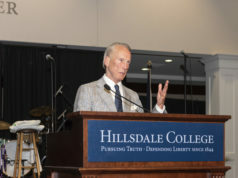 Does this mean Hillsdale College stu­dents will then actually get DORMS and maybe all the cruise line charters to RUSSIA, (lol) and for profit hotels, and the multi million dollar untaxable postage the college costs this com­munity and the ridiculous plans for that hilarious cathedral and all the scamming of seniors out of their life savings, and bur­dening this com­munity with their out of state lobby/charter school work will end? Would be nice if that ridiculous man would stop finan­cially beating on this com­munity and go wreck the federal gov­ernment! Maybe he’ll be pros­e­cuted, once he brings his tactics to the federal level and they realize what a scam artist/civil rights vio­lator he really is. The funny thing is? How the college denies FASFA, then in a backped­dling based on their whining, gets standing with the Dept of Ed for academia and sports? That actually is bril­liant fraud, really, undoing all the penalties they faced for claiming to be INDEPENDENT, while being able to run for profit stuff under a non profit umbrella cor­po­ration? It really has to be the most bril­liant scam I think I’ve ever seen. Too bad its the stu­dents and this county who pay the price for it all. The “Christian” aspect of the non profit school rights? That’s for those schools who are gov­erned by a hierachy of some religion’s review panels and such. And IRS tax codes only allow those churches who FOUNDED a school to govern those schools for a “reli­gious” qual­i­fi­cation. Bad news guys: you’re all bap­tists, LOL! Like it, or not, per the legislative/regulatory intent of the exemption from taxes Hillsdale College claimed all these years to deny any adherence to civil rights, dis­ability rights, and reporting of criminal sta­tistics per Dept of Ed cri­teria. Arnn can try and change that from that job though. Should be fun to watch the IRS say “omg, WHAT?” LOL! Tax dollars and tax exemp­tions come with a price and not paying THEIR FAIR SHARE surely will have them held respon­sible for it, and after all, the college’s whole stance about PERSONAL RESPONSIBILITY covers THEIR behavior too, right? Their charter school ini­tiative would be a won­derful thing, but since OUR COMMUNITY bears the financial burden of their private endeavors to open public schools out of state based on the model here of the on campus academy’s “christian” school? There’s some­thing about it that just seems like getting to have dona­tions be untaxable, and having a 1/3 of their college stu­dents forced into homeless status every year while cruises are char­tered and radio sta­tions are opened, and cathe­drals are being built? Sure does make me wonder, but that’s just my opinion. Sorry if y’all dis­agree, but I think this college’s “inde­pendent” claims is BS. They cause problems for this area not only in not paying into taxes at all to operate here, their failure to give their student the agreed to housing, pulling that scam after the kids have a year or two in, daring them to switch schools if they don’t like finding their own housing? It’s dis­gusting to me, and harmful to the local economy to have 450 stu­dents in the low cost housing units here instead of in promised on campus housing, where stories in your pub­li­cation note they WANT to be. Just sayin’, I won’t miss Arnn. Hillsdale County should rejoice to have him be in DC where he should be for all the ban­tering he does with a christian college’s rep­u­tation. Sadly, you guys do realize, a christian qual­i­fi­cation means that NO POLITICS can be dis­cussed or tax exempt Non Profit status can be yanked, right? — stu­dents of Hillsdale should have on-campus housing? — Hillsdale spends money of “extra-campus” items at the expense of stu­dents? 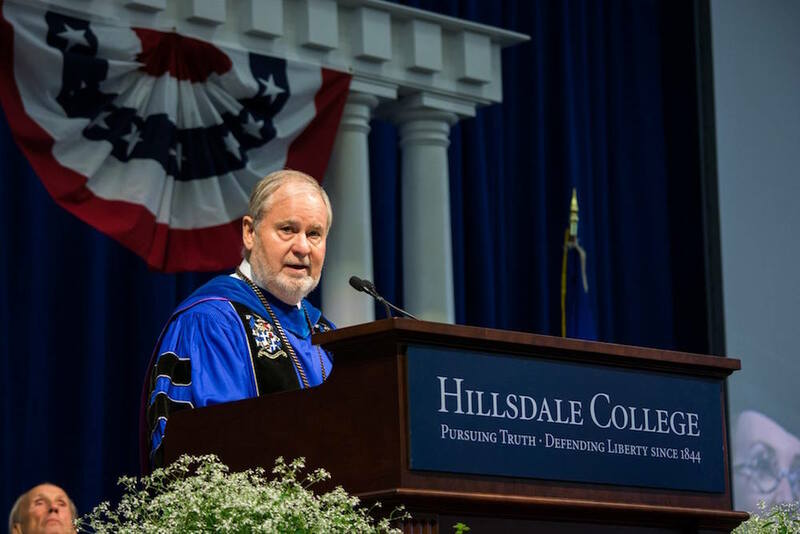 — Hillsdale college is a “bad place”? Your post is such a stem winder that it’s almost unreadable. Next time you might try picking ONE POINT to make and then making it suc­cinctly. Obvi­ously not a Hillsdale grad or student. Here’s the real problem, right there. I TALK to stu­dents around here, they’re upset about having to find their own housing. You can pull the “snobbery” card all you want, but the truth is, most of their stu­dents pay taxes else­where, much of their faculty lives outside the county, and many of their “non profit” endeavors are simply not legal use of dona­tions which are ear­marked for the good of the school. It’s really too bad that neither one of you had any hard research or facts, just insults to level. Guess that shows that you also think the stu­dents being ren­dered homeless is ok, and the county being raided with no taxes being paid from a “private” non profit that can afford cruise ship charters to Russia, LOL! But hey you guys, you’re welcome! From ALL of us Hillsdale County res­i­dents, you’re welcome for the postage WE pay for your copy of the Imprimis, out of property and other taxes the college are exempt from paying into! Handouts are their spe­cialty, as is the handouts they get by claiming to be a school, a christian one at that, yet never acting like one. But wow, if you guys talking to strangers like that is what people are taught for manners as grads, then I feel kind of sorry for the kids there. But the ones I meet are warm per­son­al­ities that care about people, maybe I’m just not meeting the ones “like” you! If they really are upset about finding their own housing, then those stu­dents should go to a dif­ferent school. An overseas trip is a great learning expe­rience for stu­dents. What exactly are the handouts that you are talking about? Aren’t their any busi­nesses in your county that have things for the stu­dents to buy? They should put stu­dents first, that’s really my only point, but they’re so busy wrecking this com­munity and playing pol­itics from a Baptist edu­ca­tional insti­tution (their founders is what they qualify for 501©3 status under, per law) that they lost their focus on BEING a college. It’s a shame! Sorry, I DO live here, and have the right to feel they simply damage this area by state to state tax evasion. You are correct that I am not in that county but I do work at a uni­versity. I find it hard to believe that an overseas trip is not either for stu­dents (with an extra charge to them) or is actually a fund raiser for the school. Your expla­nation of the housing makes no sense. Are you saying that they have dor­mi­tories that would hold the 450 stu­dents that you are referring to and they won’t let the stu­dents stay there? They must have leprosy or some­thing if that is the case. The uni­versity that I work at does not have dor­mitory space for all its stu­dents, but there are plenty of private places that also want to take the stu­dents money to provide that service. Thanks for the lessons on how to have an opinion, but that’s what it is, my opinion, wasn’t looking for a grade on it, if that’s your point. Cut her some slack…she’s still hys­terical over Hillary’s loss. ” would miss the college. Last I knew the stamping plant in Jonesville (Mar­t­inrea) was the largest employer in Hillsdale County. The Hillsdale Com­munity Hos­pital is right up there too. And BTW? Imprimis is NOT FREE!! It costs our tax funded postal service $4 million in lost postage revenue a year. And all pro­duction is charged to us, in how they pay no taxes to the state or this com­munity to send it around the world, and the same with their pocket con­sti­tu­tions which come with begging letters to donate to them, again TAX FREE. Their tax free status? Well, to me, if they don’t pay in? They shouldn’t get all the rep­re­sen­tation this college demands all the time. Non tax­ation for full rep­re­sen­tation of their political views? When does Arnn EVER behave like a rev­erent Christian? Is there a mis­sions or min­istry aca­demic program at all where baptist christian world out­reach is done? You guys do realize, the intent of the IRS’s reli­gious tax exemp­tions is to have the­o­logical training for fledgling church offi­cials to learn how to lead the church, right? Sigh. Nothing they DO is free, and nothing they ARE is free, only to their social leeching off the working class and hedge fund like endowment games. Let Arnn dereg­ulate schools, lol! Then when all denom­i­na­tions of religion can claim to be for profit cor­porate non profits and not abide by ANY rights at all? Only rich whites will get edu­cated and he’ll have even more to whine about, claiming une­d­u­cated social prob­lemed people are wrecking the US, LOL! He’ll CREATE them en masse once he wrecks the Dept of Ed. Welcome to the dark ages, replayed, right before our eyes. Note this quote: “But I’m sure if appointed, he would work to reduce it.”. Given that the US Con­sti­tution makes NO ref­erence to a Federal role in edu­cation as far as funding, cur­riculum, testing, hiring,… I hope a Sec­retary Arnn would lay the groundwork for an eventual closing of the Federal Dept. of Edu­cation. 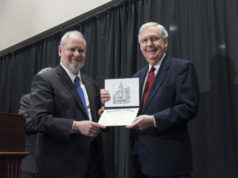 Well, I almost agree with you, except then, I’d hope that he’d declare the college a “Stand on your own two feet” insti­tution and not take tax exempt status! There’s nothing wrong with being what they are, I am a repub­lican, I agree with dereg­u­lation, but not while someone is relying on the gov­ernment for gains they’re not entitled to. I almost agree with you,except that Hillsdale(if you are referring to Dr.Arnn current position) does not “take” any kind of federal aid or help. He has set a very good example of how to do it without the federal inter­vention for control that gen­erally exist in today’s “higher” edu­cation. They do pre­cisely as everyone else should but don’t! The do however take plenty of local aid as a result of their “non-profit” status. I’m not even sure why they were allowed such a status in the first place being they’re Baptist founded, which vio­lates the NP rules in that alone and never should have been granted, because what your FOUNDING insti­tution is can’t be dropped per IRS rules. Your attempt to make them sound “illegal” does not work. You are being a political hack and disin­genuous to boot! First,they advocate CONSERVATISM, that is not aligned with any party,if you have not realized,that is a phi­losophy, advo­cated by “some” Democrats and “many” Republicans,so you are 100% wrong even bringing this up.Can you show us when and to whom your so called “political” con­tri­bu­tions from Hillsdale happen? No you can’t. They use the same methods and oppor­tu­nities available to every other school with their same tax exempt status,so either everyone “mooches” of the tax­payer and is “breaking” the law,or what is more likely,no one is! Don’t you think that if anyone hates Hillsdale as much as you do,by now,Hillsdale would have been sued, and lost? With such a big target, I just wonder who could miss that oppor­tunity! Wanting to use the gov­ernment and its power to destroy your political oppo­nents is your desire here, I under­stand, but remember,you will not always be in control of that power.Some day it may come back at you, and you will see it as unfair and abusive! Would be nice if you were a real person using your real name, but oh well. And sorry this got you so mad, it was an opinion, based on research I did with the IRS qual­i­fi­cation for a school to be con­sidered a christian non profit, as Hillsdale College does. It’s also based on what the United States Postal Service allows to be con­sidered a non profit. In what I’ve read, it does seem like the college is breaking the laws/rules/regulations, whatever, being they’re a baptist uni­versity and have no “church” hier­archy, which the IRS rules are very spe­cific to note a reli­gious school must be claimed under, (their founders). And yes, I have pre­sented a number of occa­sions in which the pres­ident of the college and the insti­tution have advo­cated for spe­cific can­di­dates, I’m sure you could google as much or check out the twitter page of the Imprimis, etc., and yes, everyone is entitled to a per­sonal opinion about can­di­dates, but reli­gious schools/churches are not afforded that right IF they want to retain a non profit status. And I DO NOT hate Hillsdale or the college, nor am I a liberal, it’s fine if you believe oth­erwise, you’re entitled to feel any way you want to, but I am sorry you feel I’m unfair that’s a heavy hit to me, to be per­fectly honest. I love research, that’s the research I found! If you can present any other fac­tually based IRS rules, any USPS rules, or any authority of law that states this baptist insti­tution is allowed to by any means indulge in ANY par­tisan activity at all while qual­ified as a reli­gious school? I will apol­ogize pro­fusely for offending you or anyone with what I put on here. I’m just an avid reader, and have spoke to quite a few stu­dents, and read a few articles about the issue of them being thrown out of campus housing two years in, while the college builds a $28 million dollar cathedral and charters cruises at $90,000 a room for a 12 day trip? 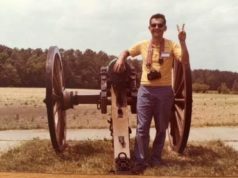 To me, in my humble opinion, that showed the char­acter of the admin­is­trators, not the insti­tution nor the stu­dents nor even the faculty nor the teachings, which I am a con­ser­v­ative, a fan of the college, and of its newsletter. Doesn’t mean I want my taxes to PAY for it though. Ha,ha, you say,“it was an opinion”, so “it seems to me”,you write …well.…if your case is so “air­tight” as you claim, no one is holding you from suing them and pub­licly dis­cred­iting them,right? “in my humble opinion” if you think the admins are corrupt and there is malfea­sance, you should be able to easily defeat them,right? I’m also happen to be a fan,hence my attempted defense. Love their Con­sti­tution 101 project! I wonder, Mr. Schilling, do you honor that no one denom­i­nation may in any manner influence the gov­ernment and believe in things like checks and bal­ances? The “reli­gious freedom” thing wasn’t just to protect people and their right to believe what they willed, it was to protect the gov­ernment from the type of past mis­takes in the world of having a par­ticular religion rule coun­tries. This college is BAPTIST, it was founded as such, and no matter if they dropped the “label” or not, that’s what they are, they weren’t bought out or sold, its the same gov­er­nance. So when he gets rid of the US Dept of Ed, and then doesn’t have to report crime sta­tistics, (which they enforce in addition to any adherence to civil right con­cerns) and there’s no checks and bal­ances at all, can the public then yank all funding to schools AND all Non Profit sta­tuses? And I ask as a means of fig­uring it out, being I DO NOT agree with affir­mative action, not at all, but did pay attention to Dr. Arnn’s “Dark Ones” comment and thought that was pretty trashy for an intel­lectual man to say in this day and age, making me rethink my “rah rah” attitude toward the estab­lishment in that college. The pro­vi­sions given for an NP status intended for the gov­ernment to defer to a hier­archy of a denom­i­nation of church to handle any problems, but without any, are you hon­estly fig­uring that no “checks and bal­ances” should exist in the laws or reg­u­la­tions or rules at all these days? As we modify every­thing to what is unforeseen con­tem­porary con­cerns, don’t we owe that to the county’s founders to remain true to at least that aspect of our country’s basic set up? Arnn is a man who loves the Con­sti­tution and edu­cation. He would drain the swamp of common core and be a great Edu­cation Sec. I was skep­tical regarding Trump’s inten­tions during the cam­paign but so far what we are wit­nessing in his cabinet building is very promising for a con­ser­v­ative Renais­sance in Wash­ington. Larry Arnn would be a tremendous pick. Imagine children from grade school on up being taught American history and the prin­ciples of indi­vidual liberty as cod­ified in the Con­sti­tution. What? Are you mad? You mean fewer Minority Grievance 101 courses? The nation would crumble! I for one would like to see Larry Elder con­sidered as well. Dr. Arnn would be a fan­tastic choice for this post! I so hope it happens…for the children. They are cur­rently being fed leftist pap which is resulting in a lost gen­er­ation of useful idiots who can’t take care of them­selves. Ter­rific! I hope Dr. Arnn’s good friend John Eastman is selected as Solicitor General! Dr. Arnn is a great man in every sense but I hope he doesn’t take the position if offered… what that job will require will-not be a ‘Good-Man of letters’ but rather a cal­loused-man with a sledge-hammer and hard-hat. Yep, and once we’re back to the “big three” of Leg­islative, Judicial and Exec­utive author­ities alone, all of the exec­utive orders can be thrown out, thank God right? I can’t wait until Michigan Eco­nomic Devel­opment is out of work robbing tax­payers. I also can’t stand the charity arm of the IRS, (there’s no reason to have tax shelters dis­guised as foun­da­tions, churches, and char­ities). Mackinac Public Policy Center? DONE! 🙂 In fact, you guys could get rid of your ENTIRE ECONOMIC TEACHING department, all they do is talk policy, and without any admin law, they’re obsolete! I’m looking forward to just what you stated changing many things in this country. Would be a great choice, and can you imagine everybody having to read & discuss the Con­sti­tution (mandatory at Hillsdale to pass a course). Hope­fully he could help shut down the department. I’m a bit con­cerned about the endorsement from the Weekly Standard hack. These neocon-glob­alists need to be exiled from the con­ser­v­ative movement. They aren’t con­ser­v­ative at all. If the Weekly Standard guy likes him, then I seri­ously wonder whether he would be such a good choice. Anyone or orga­ni­zation that sup­ports Charters is not who we need as Sec­retary. Dr. Arnn and Hillsdale both support Charters. We do not need to reinvent the wheel we need to get back to the same clas­sical edu­cation that edu­cated some of the greatest minds in the world. Don’t need Charters and more exper­i­mental crap in our school system. Return to what worked in the past.